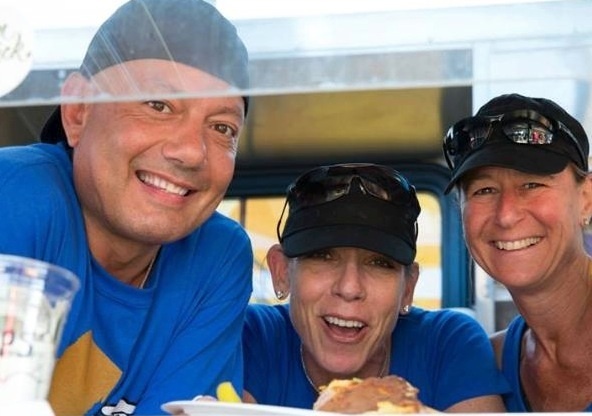 When Ilene Winters, Joanne Garelli, and Tim Boulous started preparing their application for the Food Network’s “The Great Food Truck Race,” they didn’t have any experience operating a food truck. But after Hurricane Sandy destroyed the restaurant Joanne and her husband owned and operated for 37 years, the potential of $50,000 and their very own truck was too good to pass up. The trio submitted an application to the Food Network’s casting team, and within just two short months, they were packing their bags and traveling from their New Jersey hometown of Sea Bright to southern California to embark on a 4,000-mile cross-country road trip. Their truck, Boardwalk Breakfast Empire, made it to the second week of competition in Portland, Oregon before a narrow loss during one of the show’s challenges left them vulnerable to elimination. However, the talented teammates learned a lot and made tons of fans along the way. We spoke with Ilene (pictured to the right above) recently to get the scoop on the show’s casting process, what’s next for the Boardwalk Breakfast Empire team, and some advice for aspiring food truck owners. FoodTruckr: Thanks so much for taking the time to talk to us today! I’m really excited to hear more about your experience on “The Great Food Truck Race” and to learn about what’s next for you. Your team got started after Joanne and her husband, Steve, lost their restaurant to Hurricane Sandy. How did you and Tim get involved with Boardwalk Breakfast Empire? That was on a Saturday, and I guess over the weekend she discussed it with Steve. They have a 15-year-old daughter, and somebody would have to stay home with her, so Steve decided he was going to stay home. Joanne could go, and she asked her friend Tim and then called me on Tuesday and said, “Are you really serious? Would you go?” So that’s how the whole thing happened. FoodTruckr: That’s great. How quickly did you guys leave from that point? Ilene: I want to say that was in the beginning of March—and if we were going to be competing to have a slot on the show, we needed to come up with a logo, a t-shirt, a name, and then produce a 15-minute video. So we got working on all that—and when she called me on Tuesday, that was all due by Friday. Ilene: Yes! So we got that all together by Friday, submitted our video Friday morning, and then, you know, waited. It took a few weeks to hear back. Then we heard that we were in the running. The next step was to do a one-hour Skype session. They would then mix parts of the Skype recording into our produced video and then pitch that to the Food Network. That was the second round of what we had to do—so we did that, and then we finally heard, “Oh, it’s looking good…” But, you know, you’re not packing your bags on, “Oh, it’s looking good.” So we really didn’t know. And then I think we left around May 6th. We probably heard definitively about a week before. FoodTruckr: Wow—that all happened really quickly then. FoodTruckr: Did you and Tim have any experience in the food industry already? Or was this sort of trial by fire? Ilene: Well, yes—Tim did. Tim’s worked in the food industry pretty much his whole life. He doesn’t have any formal training as a chef, but he can cook. Conceptually, he’s very good with food. Food is just a big part of his life. I have no real formal training either, but I love food. I cook all the time; I’m constantly reading recipes and I have a master’s degree in Clinical Nutrition. So my interest is in making household recipes healthier. FoodTruckr: That’s a really interesting contrast with some of the other teams, such as The Slide Show—a team of professional chefs led by a former “Food Network Star” contestant. Ilene: Right, right! And I have to tell you: We didn’t make it that long, but we were told more than once that we had food that was really, really good—if not the best food on the race. FoodTruckr: Well, it all looked so good! I found myself, as I was watching, wishing I could try all the food from these different trucks. Ilene: Yes! There were a lot of people who came out and followed the race and would go to every single truck and taste all the different food and then write about it. There were a few blogs chronicling the show. FoodTruckr: I read a few of those, and I was so envious! That’s great. So, once you guys had to come up with the concept for your truck, how did you do that? What was that process like? Ilene: Well, we figured that since [Joanne’s] restaurant was called Steve’s Breakfast & Lunch, we had to stay with the breakfast theme. We initially called ourselves Jersey Sure, and then the tagline was “Comfort Food from the Jersey Shore.” But [the Food Network] changed our name to Boardwalk Breakfast Empire. And in the beginning, we weren’t really that thrilled about it because we didn’t want to be pigeonholed into having to cook breakfast. But then we decided we could maybe have an egg or a pancake in a dish like we did with the Portland Pancake Club. We just sort of put something breakfast-related in everything we made. FoodTruckr: And that was really interesting—how many different ways there were for you to take that concept. Ilene: Yes—we had to be creative! FoodTruckr: Was it tough, for Joanne particularly, to go from a restaurant to a food truck? Were there any challenges you faced in learning how to operate it on the go? Ilene: Oh, without a doubt! I mean, first of all, you’re 3,000 miles away from home. You’re on this adventure where, really, they don’t tell you anything more than two minutes in advance of you doing it. The point that I’m making is that you’re just on edge the whole time. Nothing is comfortable. They’re always trying to get you out of your comfort zone. And so now, you have a 1 1/2 hour lesson on a food truck where the guy that’s showing you how to light everything and where to put the ice and where the cold is and where the hot is—and he knows it inside and out, so he’s talking really fast, and we have an hour and a half to learn everything. I even videoed it and still—when it was time to cook for the first time, it was virtually impossible. We couldn’t remember anything. We couldn’t light anything. It was just crazy. FoodTruckr: How did that feel? Ilene: Just completely out of control. But then, every time we went back to the hotel room, I watched the videos again and again and again, and then I made notes, and I brought the notes to the truck, and I’m like, “Alright! The three of us are going to do this!” And Tim kind of stayed out of it because he was really the cook—so he was like, “You girls are on your own. I don’t want to get involved in that.” And we really did have to delineate jobs, you know—Joanne was out there selling. She was like the face of the truck. I did all the logistical work, and Tim did all the cooking. We did divvy up our jobs. We made notes and we finally got a handle on how to turn the propane on and how each individual burner is lit differently, and we figured it out. But we had to figure it out—otherwise we weren’t going to be able to cook anything. FoodTruckr: Right—there are so many small things you have to do just to get up and running. Were there any of the Truck Stop challenges or Speed Bumps that surprised you or caught you off guard? Ilene: No—we had the geoduck one, and Tim had never seen a geoduck before in his life. And they did show us a little video on how to prepare it and clean it for cooking. So we watched a video, and he took that thing like a champ—cooked it, cleaned it, and cut it up and used it in what we were going to make. And then we finished that challenge first, so we really should have had the extra $500 in our till, but we couldn’t find the park where you had to go get the chip to turn it in for the $500. FoodTruckr: That was so heartbreaking to watch. Ilene: And you didn’t see an iota of it. I mean, we literally made 17 wrong turns. They only showed us making one. But we made so many wrong turns, it was pathetic. FoodTruckr: Oh no—that must have been really hard. Ilene: Yeah. It was very frustrating, because we knew—we just knew. We couldn’t see any of the other trucks, but we knew in our hearts that we had finished this thing first. It was 4:00 in the afternoon when they said, “Okay, you can sell,”—and we were done by 4:20. Nobody else could have done it that quickly. If we could have just found the park earlier! Once we were in the park itself, we were just twisting our way in a circle up to the top. And every time we made a turn, we wound up in someplace else. We were like “This isn’t right! How do you get to the entrance of the park?” And people just kept saying, “Oh, just keep going that way,” but it was circular, and so confusing. FoodTruckr: It looked so easy to get turned around. Ilene: Yes—it was very disappointing. FoodTruckr: Well, at the end of that show, Tyler [the show’s host, celebrity chef Tyler Florence] did announce that all of the profits went to your charity, Sea Bright Rising, which was amazing. How did you feel when you heard that news? Ilene: Oh, that was awesome. You know, I had watched the other season where they donated to the American Cancer Society, so I did have a feeling that that might be happening, but it was great—and everybody at home was so thankful. It was really very nice of them. FoodTruckr: And Sea Bright Rising has already raised more than $1,000,000, which has to have made a huge impact on your community. Do you think that the exposure from the show helped that at all or were you already making great strides toward that goal? Ilene: I don’t think any of that was really attributable to the show. We had already raised over $1,000,000 before I even left for the show, and we’ve already distributed over $900,000 of that. FoodTruckr: That’s incredible—congratulations! After competing on the show, do you think that “The Great Food Truck Race” accurately portrays what it’s really like to run a food truck? That might be hard to say without actually running one day-to-day, but have you talked to any food truck owners or people who are trying to start them? Ilene: Yeah, I have, and I think it certainly gives you a good glimpse of what running a food truck would be like in terms of finding locations. I know we didn’t have to deal with any of the regulatory issues that happen in cities and towns because they had done that for us. But that aside, there are still so many other issues. On the one hand, it’s great because it’s not brick and mortar, so you can take it places—but on the other hand, you have to take it places! So you’re driving it, and it’s something that can break down. It’s something that can get in accidents. There’s just so many other issues that you don’t deal with when you deal with a brick and mortar restaurant. FoodTruckr: That’s really true—and I think even finding customers is a challenge, too, because they don’t always know where to look for you. Ilene: Right! And shopping. Shopping was a challenge, which we had to deal with a few times. Storage—all sorts of things. Menu planning. Pricing. FoodTruckr: It’s a little bit of everything! All on the road. Ilene: That was the fun part—the actual being on the show was not always that fun because you know, again, you’re out of your comfort zone. You’re being recorded—everything you say is being recorded and being listened to. And your schedule isn’t your own—you have to show up places and times that you don’t necessarily want to do. But the weekends we were cooking, we had a blast. FoodTruckr: Was most of the creative process in coming up with the dishes Tim’s responsibility, or were you and Joanne able to help with that also? Ilene: Tim and I did that mostly together. I don’t think—I’m not sure, but I don’t think Joanne does that much cooking at home. Steve was primarily responsible for the cooking in the restaurant. So, Tim and I basically did that together. We just bounced ideas off one another, and we would run it by Joanne, and she would say if she liked it or not. FoodTruckr: Was it hard to come up with the dishes under pressure and without having much time? Ilene: No, not really. We kind of just talked it out loud, and thought about the places we were going and what would fly in the places we were going. And no, it really wasn’t that hard. We came up with that Portland Pancake Club when we were sitting out at the pool outside of San Francisco and it was relatively quick. FoodTruckr: That’s great—and that was such a successful dish, too! FoodTruckr: Well, what’s next for the Boardwalk Breakfast Empire team? Are you hoping to open a food truck together sometime in the future or working on separate projects? Ilene: No, we’re talking. We meet about once a week and we talk. None of us really want to buy a food truck and spend that kind of money or make that kind of investment, so we’re exploring other things. Joanne has an opportunity to get a grant from the state of New Jersey because she lost her business, so she could get up to $50,000 to start her next venture, and she’s in the process of applying for that now. If that were to come through, I think the three of us would end up doing Boardwalk Breakfast Empire here in some fashion. FoodTruckr: Perhaps as a brick and mortar? Ilene: No, I think we would do a truck. But we’ve been talking about different things you could do with the truck. You could go to parties and do catering. You could take it different places every day. We live in a community that is very populated in the summer and not so much in the winter, so then we’d have to discuss what to do from October through April. We’re just meeting and talking and bouncing around ideas and seeing what seems viable. 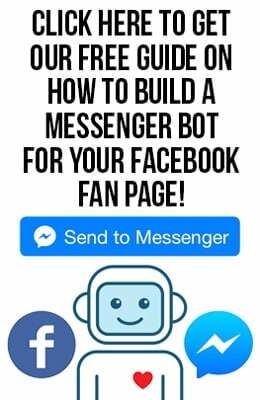 FoodTruckr: You do have a lot of fans now after appearing on “The Great Food Truck Race”—and everyone would love to see you guys succeed. Ilene: Well, that’s nice to hear. FoodTruckr: For people that are looking to start their own food trucks, what do you think is the most important lesson they can take away from the show? FoodTruckr: Or, what advice would you give to someone who’s looking to start their own food truck? Ilene: There are probably two things. The first thing I would say is scope out your area and see if you would be one of many or one of just a few. For example, in Portland, they’re overwhelmed with food trucks right now. That’s one of the reasons we feel like it’s an opportunity for us here in New Jersey—because you very rarely see a food truck in New Jersey, so we feel like we would be getting in on the ground floor of something. The second thing is that you have to have a really good concept—either a niche or a concept. I think the thing that saved the Tikka Tikka Taco guys was that they stayed true to what their concept was: the tikka spice, on chicken or—I don’t think they even made beef; I think they pretty much stuck to chicken—it was that tikka spice, and it was Indian food disguised as Mexican food. And they stayed true to that and I think that’s what helped them. And the Samboni boys—they had the sandwich. So you can make variations of the sandwich, but that was their niche. So just something to really grab onto. FoodTruckr: That’s really important advice—you really have to have a signature dish, something that sets you apart from all the competition. FoodTruckr: Thank you again Ilene so much for sitting down and talking with us today! FoodTruckrs, what did you learn from watching “The Great Food Truck Race”? Have any questions for Ilene? Share your favorite moments and questions about the show in the comments below!